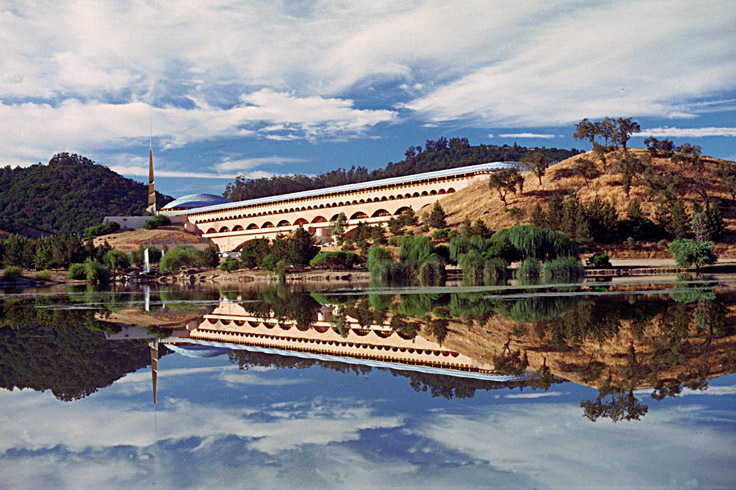 Todays piece of Movietecture is Frank Lloyd Wright’s Marin County Civic Centre in San Rafael to the north of San Francisco. This amazing building was completed in 1959, the same year that Lloyd Wright died and was one of his largest projects. In the film, the building plays the part of the headquarters of the sinister Gattaca Corporation of this dystopian sci-fi film in which identity, ability and opportunity are defined solely by the quality of your genes. Incidentally the name of the film comes from an arrangement of the letters A, C, G, and T which represent the four nucleotides of DNA.